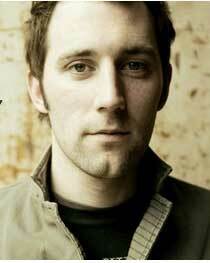 In a music world longing for a new voice, Mat Kearney represents the singer-songwriter for the 21st century fan. While predominately keeping with an acoustic base, Kearney subtly incorporates a wide range of influences that paint his songs with an array of beautiful textures and sounds. At the same time, Kearney knows how to capture the words that resonate with one's deepest emotions. Making his recorded debut with Bullet, this Oregon-raised pioneer explores an artistic depth that delivers substance as well as style. The album features everything-hip-hop beats, pop choruses, acoustic folk, spoken verses-all moving effortlessly from one influence to another without losing track of the core meaning. Says Kearney, "Hopefully there is a depth and intimacy of songwriting that goes beyond the novelty of a funky guy with an acoustic guitar. When I set out to write, I want to write something that will rip your heart out and connect with you. Great songs connect beyond genre and style." Bullet exemplifies such a connection with "Undeniable," a beautiful pop song with an epic chorus and a catchy acoustic hook. The song itself finds inspiration in a troubled young man who told Kearney about his need to make changes in his life. Ironically, he was a student at a local high school, which was under construction at the time. Kearney, who drove by the school every time he went to the studio, turned the school's demolition into a metaphor for the uprooting of the young man's life. "The roots of that song are really in seeing joy on the other side of pain-of coming to know God and the undeniable nature of who He is." Elsewhere on the album, "Train Wreck" blends ethereal guitars and hard-hitting drums with pure mass pop appeal. "It's a song based on Psalm 139, where David talks about God being our only source of hope-essentially that he's been ruined for Christ and that everything else pales in comparison." The Johnny Cash-themed "Won't Back Down" discusses the country legend's spirituality through a lush, piano-driven ballad, while on the title track, Kearney taps into his hip-hop heritage with emcee vocals and drum loops that carry lyrics about the ultimate love, inspired by John 15:13. "I really wanted to create a modern day interpretation of the idea that 'Greater love has no one than this, that he lay down his life for his friends,' and what that would really look like." Bullet reaches an artistic high with "Middle," a catchy song that mixes spoken word over live drums, elegant strings, and an ethereal piano vibe. Of course, Bullet's musical scope finds equal depth in its lyrics. Describing the song "Renaissance" as an example, Kearney says, "The song is about a friend that was in a car wreck and another who got dumped by his girlfriend. The lyrics touch on these moments in people's lives when they hit rock bottom and question what's going on and what they are about. In that place of total uncertainty, they start to look for something real." Looking back, Kearney first left Eugene, Oregon to play soccer at Chico State University, the notorious school that was once dubbed the No. 1 party school in the nation. Kearney, who occasionally sold weed in high school, fit right into university's wild ways before eventually hitting rock bottom. "I guess I lived it up and did what everyone said you should do in college," he recalls. "I discovered the depth of depravity, the bleakness of that lifestyle. It just wasn't working. I finally started understanding there must be more to life." It was at this point where Kearney had a life-changing encounter with Christ. "God found me when I was at my lowest point. That was the first time in my life when I really felt like I understood who Jesus was-it was more than just knowing about Him, I felt like He met me in that time and place." Kearney began embracing the local music scene that he described as a lot of "Dave Matthews' hippies." The singer, who actively participated in hip-hop culture as a teen, soon found himself fusing his vast influences into a revelatory new folk sound. During this same period, Kearney started studying poetry in college and writing journals of deep prose about life. When he finally brought the two worlds together, Kearney forged a songwriting style that was distinctly innovative with a lyrical and emotional depth that kept it from being novelty. Kearney notes, "As my uncle always says, 'If your vibe outweighs your substance, you're destined to be a novelty.' I think that is true in all art." Around this time, Kearney met producer Robert Marvin (Stacie Oricco, Toby Mac), who immediately wanted to work with the new artist. Later, when Marvin moved to Nashville, Kearney decided to come along for the summer. While there, the two continued making music and soon found label interest. Kearney, however, actually turned down recording offers to continue developing his sound. Deciding not to leave Nashville, he and Marvin started recording Kearney's debut on their own before the singer eventually signed a deal with Inpop Records. In the end, Kearney got to make the exact record he wanted to make with no compromises. Kearney concludes, "My artistic goal was to write something that's one hundred percent real and true to me and to this world. I tried to touch on truths that really connect with people from every avenue of life. Ultimately, when you write from a vantage point of faith, humility and openness to the world around you, people have to respond because those same truths are instilled in them. Honestly, I don't have any agenda other than being sincere, real, and passionate about these songs and the music I make."